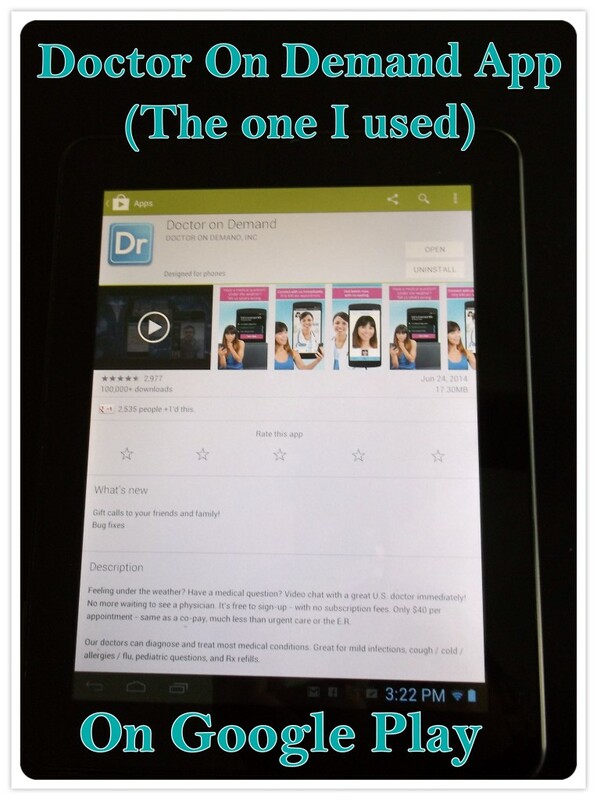 Home > Family > Doctor On Demand App Review! This is a sponsored conversation on behalf of Doctor on Demand. All opinions expressed are completely honest and my own, based on my personal experience. Your experience may be different. 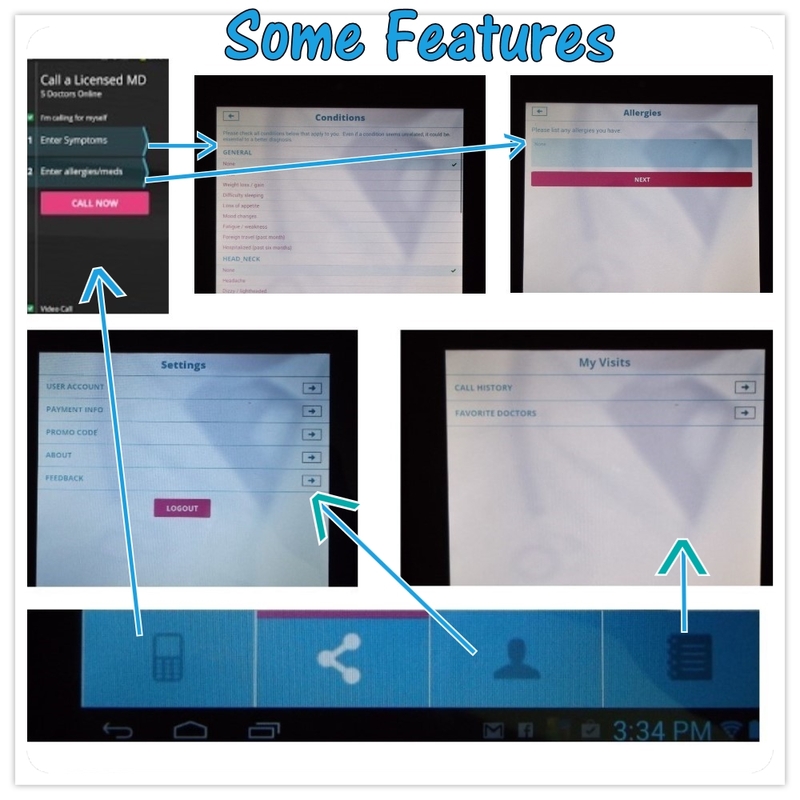 When the opportunity presented itself for me to review this Doctor On Demand App I was super excited. 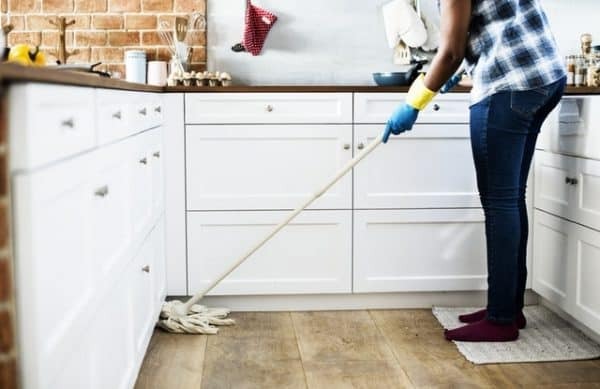 My husband and I have talked about how nice it would be to just call a doctor when our daughters were sick or if we were feeling under the weather and didn’t feel like hauling our kids with us to the doctor’s office. We also talked about how nice it would be to talk to a doctor right away instead of having to anxiously wait for an appointment. Now we can! With this Doctor On Demand App you can video chat with a highly educated board certified doctor(US licensed) that has years of experience without ever having to leave your house. Also to put your mind at ease all of these doctors are background checked before joining the Doctor On Demand. Who is behind this app you may ask? Dr. Phil is an advisor and his son, Jay McGraw is a co-founder of Doctor on Demand(Jay McGraw is Emmy Award-winning creator and executive producer of The Doctors). How great is this App? It is something we moms have long been waiting for! It’s Awesome! 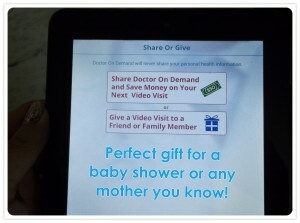 The Doctor On Demand App is best used for most cases that are not life threatening(http://www.doctorondemand.com/get-started/). For Example if you have a cold, cough, flu, allergies,soar throat,rashes,asthma,fever or if you have any pediatric questions then you can use this App. You can also get a prescription or refill a prescription and get referred to a specialist if you need it. If you have chest pain/pressure, serious head, neck or back injury or a broken bone do NOT use this App. I was not sure what I was going to call about on this app until my oldest daughter started getting a sore throat on Sunday night. She was complaining that it hurt really bad. I got a flash light and looked in her throat and it looked a little red. I gave her a cough drop to help it feel better. Then when it was really close to bed time she said it was hurting really bad again,her stomach hurt and she had a headache. We gave her chloraseptic spray to make her throat hurt less and then we read her some books to help her go to sleep. After she went to sleep I decided to use this app and see if the doctor could help me help my 6 year old daughter feel better. So I grabbed my husband’s phone and logged in to my Doctor On Demand App that I had already registered with on my tablet. Then I clicked the box that said I was calling for someone else and then selected child and entered the information for my daughter. Then I filled out her symptoms and allergies information. Then I made the call. On the screen it said SUCCESS!! I was being connected to a doctor. Then the screen said that he was reviewing the symptoms. Then he appeared on the screen and asked me what he could help me with. I told him about my daughter and what we had done to try and make her better. I asked him what he thought was the best thing to do to help a 6 year old who had a bad sore throat. He asked me if she had a fever and if she had any other symptoms(just in case I forgot to check them off on the list). Then he told me some things I could give her that would immediately help her feel better and then he told me the best steps to take if her throat gets worse or if she gets a fever. He gave me a few options I had not even thought of before. At the end of the call he asked me if I needed anything else? I told him that was all I needed. My call was about 9 minutes long and the doctor answered all of my questions and even gave me options of what to do if things changed. The doctor that I was connected to was really friendly throughout the whole call even at times when our connection was not clear(I had to repeat myself a few times so he could hear me because my connection was not optimal but for most of the call we did not have any problems hearing each other). I can definitely see myself using this Doctor On Demand App again! 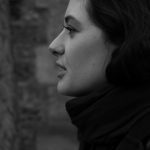 I felt I got useful information quickly to help my daughter feel better without having to drive to a doctors office to get it. I also want to point at that this occurred on a Sunday night and I was thankful that I did not have to wait til Monday to get a doctor visit. At this point I am already starting to get that feeling of “Where has this App been all my life”(kinda like a person who has had to wash dishes by hand all their life and is suddenly given a dishwasher). If you can’t tell already I am a big fan of this App! I also wanted to suggest getting this as a gift for someone you know it would be useful for! You can download the Doctor On Demand App on itunes or Google Play(click on the links below). You can save $10 off a Doctor On Demand call if you register with this code STAR14(It does not cost anything to register). The cost for using Doctor On Demand is $40(same as most co-pays). I would recommend to register now so when you are in need of this App all you have to do is enter your symptoms and make the call. 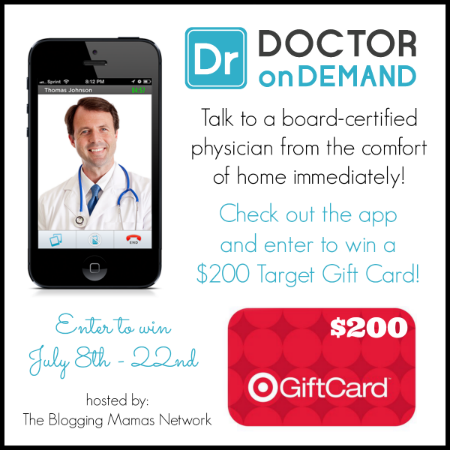 We would like to celebrate the fact that you can now talk to a board certified doctor (on demand!) 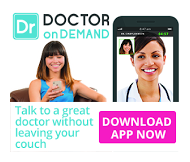 from the comfort of your own home, thanks to the Doctor on Demand app…. with a great giveaway. Next Article Next post: Making Milestones Giveaway!